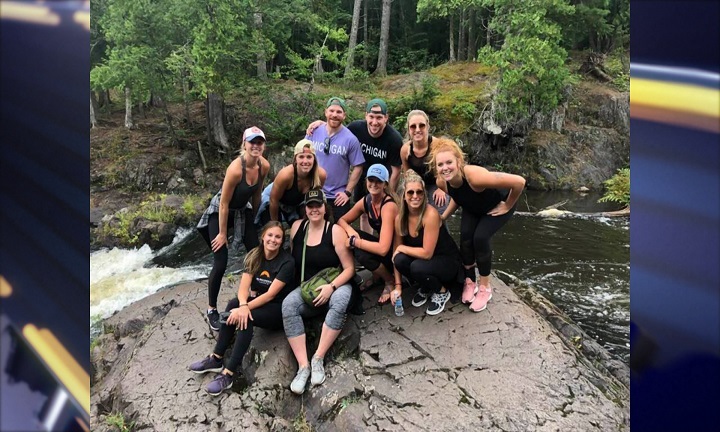 MARQUETTE — Over the weekend a group of nurses from the Lower Peninsula got involved with an emergency situation on their vacation. Over the weekend a group of nurses decided to go on a vacation in the Marquette area. Little did they know that their vacation time would involve an emergency medical situation along the way. The Nurses had decided to take a hike at Dead River Falls where the day would go from care-free to a life threatening situation. The situation involved a young boy who had taken a fall from a cliff that is jumped frequently by people. The nurses were glad that they were in the right place at the right time, while keeping cool under the circumstances. Not only did the Nurses help stabilize the boy but they were also able to help first res-ponders get him out of Dead River Falls. The first res-ponders and nurses’ traveled through multiple tough terrains and even through a stream. The nurses were very happy to see even in a harsh scenario they were able to calmly and effectively use their skills. The nurses want everyone to realize that it is important to not only enjoy the Upper Peninsula but to be careful when doing so. The boy was last reported in the hospital recovering and the nurses are now heading back home to the Lower Peninsula where they will continue to follow their careers as Registered E.R. Nurses.